Promoting the physical, mental, emotional, and spiritual health of today’s youth, especially teenagers, is largely a labor of love. It’s difficult enough getting them to give their social media accounts a break, put their cellphones away, and actually focus on educational activities, let alone holding their attention long enough to get them to interact in a group setting. 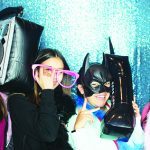 Yet, it is in the commitment to our youth, to their well-being and personal growth that brings about positive changes in lifestyle, relationships, and overall wellness. 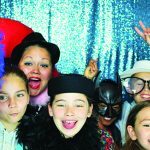 Enter the Tulalip Tribes 5th Annual Wellness Conference and its dedicated day, May 16, to promoting overall wellness to our community’s youth. 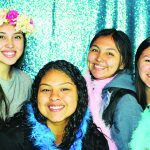 Approximately 90 students from Heritage High School, Marysville-Pilchuck High School, Totem Middle School, and Marysville Middle School were shuttled to the event hosted within the Tulalip Resort Casino’s Orca ballroom. The adolescent youth were treated to a large and healthy buffet-style breakfast after filling out their registration cards and putting on a name tag. As they settled in keynote speaker Layha Spoonhunter (Eastern Shoshone, Northern Arapaho, Oglala Lakota) took center stage. Layha is a youth consultant, motivational speaker, Two Spirit Native citizen, and vocal advocate for Two Spirit people. He provided honest, open and engaging discussion on LGBTQI (a common abbreviation for lesbian, gay, bisexual, transgender, queer and intersexed community), Two Spirit, and Allyship advocacy. Layha describes Two Spirit as a “person who has both masculine and feminine identities.” He says it is a spiritual term that encompasses Native culture, language and history. 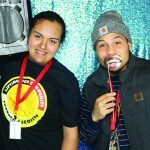 His expertise and experience as a youth spokesperson and advocate for Native youth empowerment bridges differences and strengthens relationships among groups of community members. Layha offered his story as an example for other young LGBTQI and Two Spirit individuals to express themselves and embrace their identities. Following the keynote address, the youth were given the choice of three interactive and experiential based workshops to attend. The three diverse workshop presenters were specifically chosen for their ability to reach our Native youth in a variety of ways. 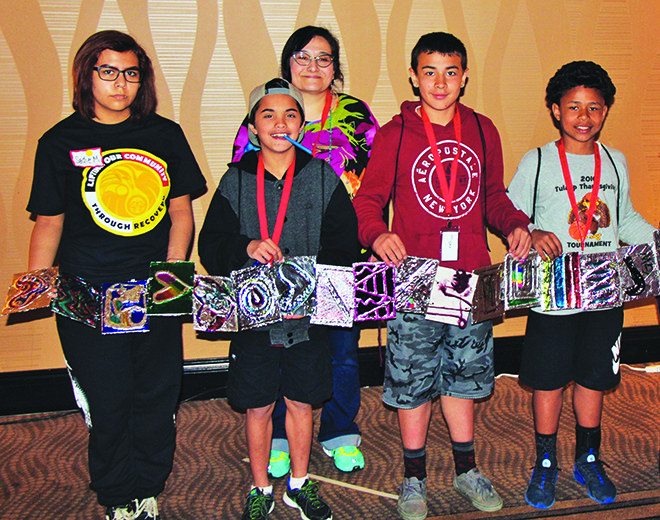 Credentialed Native American mental health specialist and award-winning artist LisaNa Red Bear offered her workshop attendees the opportunity to create a mural art project. Participants engaged in three experiential learning art exercises that support a better understanding of complications associated with smoking. 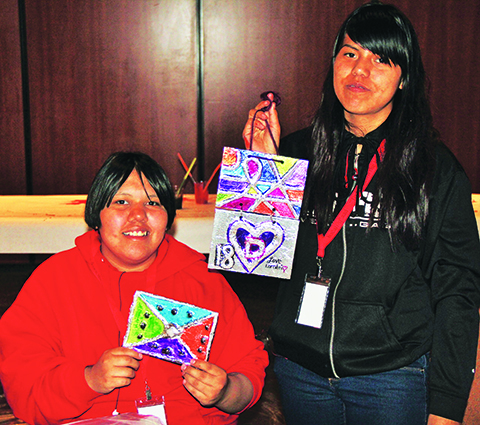 The hands-on creative art project was a hit, as the Native youth’s artistic abilities shined. Grammy award-winning artist Star Nayea led a Project R.I.S.E Up workshop. She empowered the youth to create video vision statements that involved creating handheld signage decorated with personalized cultural artwork. Participants then took turns filming their own P.S.A. style videos. Star’s unique ability to reach youth and engage them in expressing their ideas, thoughts and feelings led to some amazing video production both individually and collectively. The youth offered messages of hope, vision and inspiration for believing in yourself and living a drug free life. The third workshop option was called In the Spirit of the Story. The tradition of storytelling is a way of passing down, teaching vital lessons, and of course entertainment with a purpose. Gene Tagaban (Tlingit) is an incredibly skillful, knowledgeable and talented storyteller who led this workshop. Using story as a medium for empowerment and self-expression, Gene connected with participants in a deep and meaningful way which transcends all generational differences. The power of storytelling was illuminated through his interactive workshop as a tool for teaching, healing and growing. performance by Tulalip tribal member Terry Goedell. Several youth were brave enough to join Terry on stage and receive a tutorial on hoop dancing basics. 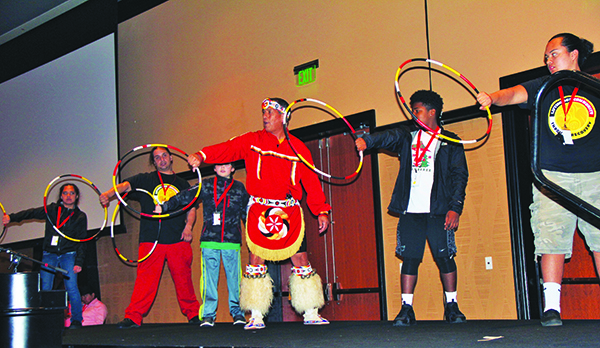 There’s a popular saying in Native communities, “be careful in the decisions we make today as they will impact the 7th generation – our grandchildren’s grandchildren, grandchildren.” Respect for this wisdom continues to guide events like the annual Wellness Conference, where a commitment to preparing Native youth for a brighter future is on full display. 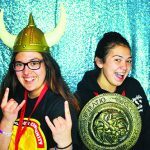 This entry was posted in Education, Health, News, Tulalip News and tagged Health, Native, Tulalip Tribes, wellness, wellness conference, youth by Kim Kalliber. Bookmark the permalink.